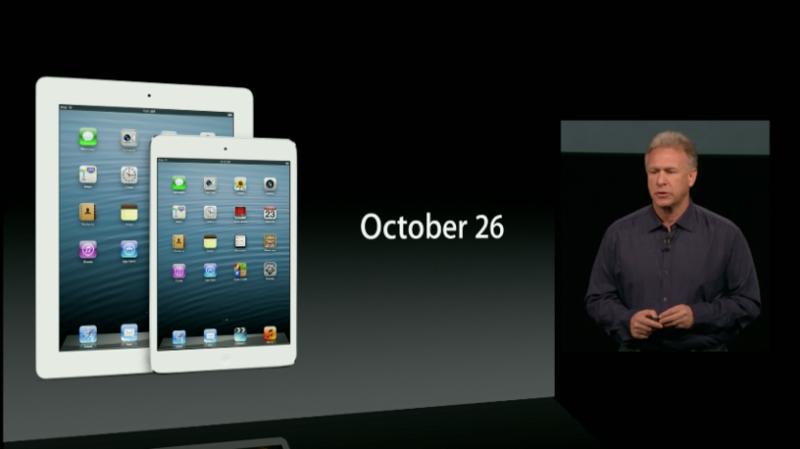 It's official Apple has just announced that the highly rumoured iPad Mini will be available for pre-order from Oct 26. The iPad Mini has been redesigned from the ground up, with a thinner bezel but keeping the same screen dimensions as it's older brother so all of the 275,000 Apps designed specifically for iPad will "just work". As expected Apple also announced a refreshed 13inch MacBook Pro with Retina Display and an amazingly thin redesigned iMac which has to be seen to be believed! The iPad was also refreshed with a new lighting connector and brand new A6 chip doubling the devices speed. Apple has also posted the introduction video. Apple is streaming their media event live to your AppleTV!